A new year often means new laws and rules to contend with and 2019 is no exception. Changes to national and provincial laws in Canada could affect your business. Provinces that failed to create a carbon pricing plan (Ontario, New Brunswick, Manitoba and Saskatchewan) will be subject to a fee for pollution. Nova Scotia will launch a cap-and-trade system. The small business tax rate is lowered from 10 per cent to 9 per cent. February 18, 2019: Family Day will take place on the third Monday in February to align with other provinces. June 1, 2019: Minimum wage will rise from $12.65 per hour to $13.85. April 1, 2019: Workplaces with 20 or more employees must have a code of practice for managing violence in the workplace. As of April 1, both Ontario and New Brunswick will classify harassment and violence as workplace hazards that affect health and safety. January 1, 2019: Considerable changes to labour standards including an increase in paid vacation for employees who have worked for the same employer for three years. These employees will be entitled to three weeks paid vacation. Changes to paid leave, overtime, equal pay, and psychological harassment policies. 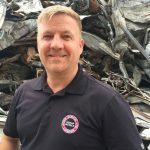 Chinese officials have announced eight types of ferrous and nonferrous scrap that will be added to the list of restricted imports by July 1, 2019. Click HERE for a list of these materials, provided by the BIR. A second list of approved pre-shipment inspection agencies has been released by Chinese officials. Click HERE for a list of the agencies, provided by the BIR. Members offering pick-up, hauling, and transport of materials should review local road rules with employees. Promote safe driving and avoid disruptions to day-to-day operations by staying current on provincial standards. 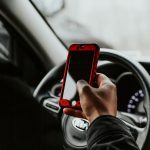 Provinces across Canada are passing stricter laws and handing out harsher punishments for distracted driving offences. Manitoba enacted stiffer penalties this past November and Ontario has new laws as of January 1. Depending on the province, a first offence may carry a fine of up to $1000, significant demerit points (up to 5), and a license suspension (either at roadside or upon court conviction). Distracted Driving Laws in Canada (Source: CAA). Distracted driving is a form of impaired driving as a driver's judgment is compromised when they are not fully focused on the road. Distracted driving qualifies as talking on a cell phone, texting, reading (e.g. books, maps, and newspapers), using a GPS, watching videos or movies, eating/drinking, smoking, personal grooming, adjusting the radio/CD and playing extremely loud music. Even talking to passengers and driving while fatigued (mentally and/or physically) can be forms of distracted driving.